It's a cute bot that'll teach you how to program. Ozobot's Bit impressed us a few years ago with its simple take on programming education: kids just need to draw lines on a piece of paper or mobile device to program the tiny robot. As they get more comfortable, they can start to program on mobile devices and computers. 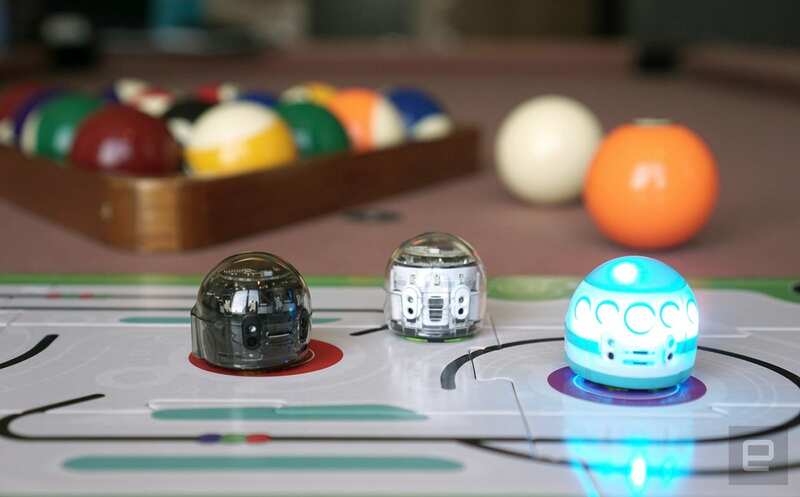 Now Ozobot is taking a major step forward with the $100 Evo, a new robot that has sensors to interact with its environment, lights, a speaker and social capabilities. 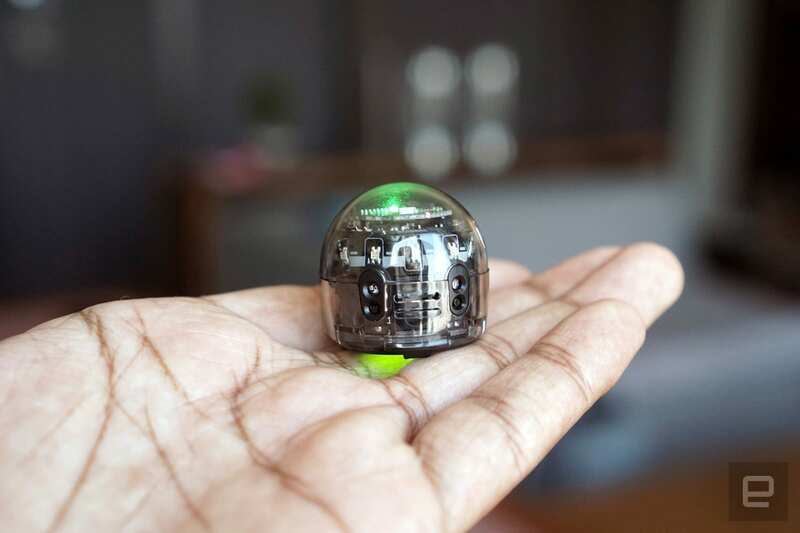 Basically, it's like a tiny Star Wars droid that you can program on your own. While Ozobot's previous devices were aimed directly at kids, it's hoping that Evo can break through to high schoolers and even college students, according to founder and CEO Nader Hamda. The new bot has a shot of appealing to older students simply because it can do a lot more than before. It can also explore autonomously and react to changes in the environment -- for example, if you blocked it with your hand or picked it up -- with a personality of its own, thanks to the addition of lights and sounds. You can remotely control Evo from a new Ozobot app, which is also where you can program it and interact with other Evo owners. The social capabilities are particularly interesting: You can team up with a friend anywhere in the world and mirror your bots movements. You can also build on Evo routines with others, allowing you to go back and forth to design something like an elaborate dance sequence. The company is also trying to build up a small social network of its own by allowing you to chat with friends from its app. It's a better time than ever to get kids into programming; the hard part is figuring out which of the many solutions out there are worth your time. Based on my brief experience with the Evo, it seems more polished than most of the competition. Mostly, that's because Ozobot has spent the past few years building a name for itself among educators. The company says its previous bots are now in around 2,000 schools, reaching nearly 500,000 kids globally. The Ozobot Evo will be hitting stores on November 1st for $100. It'll come in white and black variants, and you can also add covers to give them a bit more style.